…. 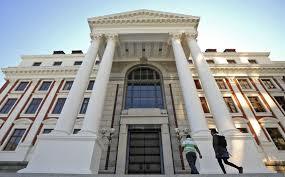 In the absence of any move by the National Prosecuting Authority, particularly the somnambulant National Director of Public Prosecutions Shaun Abrahams whose department seems confused as to whether 100,000 leaked Gupta e-mails constitute prima facie evidence of fraud or not, it falls to a parliamentary committee in Cape Town once again to be the first official venue for any debate of consequence on the State/Gupta corruption scandals. In one of the first meetings of the recently re-opened Parliament, the Public Enterprises Portfolio Committee is to receive a report back from legal experts on the setting up of the Eskom enquiry. 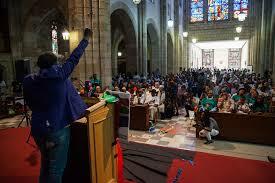 Oddly enough, it was in also Cape Town, at St George’s Cathedral, in early June, where the fight first began. Later, the venue was room 249 in the National Assembly, where the Public Enterprises Portfolio Committee was addressed by Bishop of the South African Council of Churches (SACC). He had then just released a report on corruption by the SACC Unburdening Panel. It fell to the Bishop the first shot and there was a sobering moment of silence in parliamentary room 249 when he finished talking. It felt like a small moment in South African history. What came after that seemed like a little bit of a parliamentary let-down in the following weeks but it is important that what the Bishop had to say is further reported for the record. Bishop Mpumlwana reminded all present, and particularly parliamentarians who claimed that the Church should not be “fiddling in politics”, that the same politicians had repeated the phrase, “So help me God” when taking office. He also said that systematic looting of resources had created a crisis for South Africans, particularly the poor. He called upon all parliamentarians to look to their consciences and assist with “the righteous cause of tracking down all those involved” in what was now an obvious state capture plan hatched during President Zuma’s watch in which the President himself, he said, was involved. 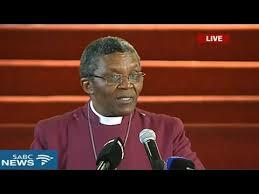 The Church, he said, must intervene and as a result of the SACC “unburdening” process which had been conducted some months ago, he now knew that “mafia-style control” was being exercised by a political elite in Eskom, Transnet, Denel, and other government agencies. It was gratifying to hear in following days that the Public Enterprises committee, under chairperson Zukiswa Rantho, had instituted an enquiry into Eskom’s accounts (and also Transnet and Denel it turned out) with legal opinion to be discussed in the in the next session of Parliament. That time has now arrived and one hopes that a lot of explanations will emerge and a lot more untruths discovered in meetings with the Department of Public Enterprises (DPE) and its apparently confused but certainly compromised leader responsible, Minister, Lynne Brown. Parliament has now a busy schedule in August to catch up on lost time with delays incurred by staging a “secret ballot” on the no-confidence in President Zuma vote. One issue will involve the passage of the contentious Mineral and Petroleum Resources Development Amendment Bill, scheduled for a meeting with the Select Committee again towards the end of August; the Expropriation Bill; and the implementation of all Twin Peaks regulations – including those for the Financial Intelligence Centre to operate in terms of the “money-laundering” changes. This last-named body is quoted as having handed over some 7,000 cases of suspicious money movements to SAPS/Hawks and Themba Godi, chair of the Standing Committee on Public Accounts (SCOPA), has made the public comment that any parliamentary finance joint meetings must see such matters on oversight resolved in the short term, preferably immediately. Minister of Energy, Mmamaloko Kubayi, was to be informing her Portfolio Committee on the can of worms opened with her suspension of the board the Central Energy Fund stated by her as being in connection with the suspicious sale of South Africa’s oil reserves held by the Strategic Fuel Fund. Past Minister of Energy, Tina Joemat-Pettersson, seems to have possibly lied earlier to Parliament over the sale of these assets and she, in her subsequent silence, appears to be joining what is now a whole roomful of past ministers and director generals involved in the tangled web of deceit and manipulation at the edge of business and commerce – some of it linked to Gupta e-mails, some just motivated by plain criminal greed. But all Energy Portfolio Committee meetings on any subject have now been abruptly halted in the light of matters involving the possible suspension of the DG of Energy Policy and Planning, Omhi Aphane, (a long-time and experienced government staffer) on on an issue regarding of nuclear consultancy fees, according to the media. It would appear a whistle blower is at work in DoE. Minister Kubayi is certainly causing waves and many hope that the responsibility for Eskom is to be handed over to this Minister from the DPE, back to where it was originally rooted with all other energy resources. The issue of debt relief legislation under the aegis of Chair Joan Fubbs of the Trade and Industry Committee will be important as will meetings on energy involving electricity, IPPs, nuclear and clearing up the PetroSA mess. But first, this committee should sort out what is to be done with a draft Copyright Bill amending and updating anchor legislation, laws that have not been touched since 1976. What DTI have so far come up with has legal experts in complete confusion since there appears no understanding by DTI in their draft of the difference between paintings, works of art and the high-tec world of data authorship which underwrites commerce and industry and on which depends a massive IT industry both here and mostly abroad. Fortunately, with a person like Joan Fubbs in charge, basic misunderstandings such as this will get sorted out. However, that such unintended consequences might have occurred worries many. The various Finance Committees will meet for joint sessions for a number of tax and money Bills and amendment proposals and Posts and Telecommunications will hear its Department’s comments on public hearings, all regarding the ICT White Paper Policy. Unit, the combined team made up of SARS, Hawks, the National Prosecuting Authority and Justice Department, divulged that some 400 cases of public service corruption have been “successfully prosecuted since 2014”. To have that number of public service thieves arrested is no small number but there is a worrying afterthought. One wonders how many Anti Corruption Unit cases have been dropped or unsuccessfully prosecuted, given the fact such cases are difficult to prove and there is often poor performance of by investigation teams. Like an iceberg, probably only one seventh of corruption in the public service is apparent. Cases currently under investigation in both the public and private sectors were given as 77, now 78 since Tom Moyane, head of SARS and member of the Anti Corruption Unit itself, at the time admitted to the Committee that he had not spoken to the Hawks about his second in command, Jonas Makwakwa. The question by MPs was about the mysterious R1,2m deposited into Makwakwa’s private banking account. According to reports it appears Moyane has subsequently rectified the situation and reported the event. So yet another enquiry must start, which will only exacerbate the relationship problem between Moyane and the Minister of Finance, Gordhan Pravin. Added to these national events in Parliament is the fact that corruption investigation remains particularly problematic at provincial and local government levels where it can go on undetected. The story emerging from the Tshwane Municipality is a case in point. The National Council of Provinces has no part to play in such matters. Over the last few weeks, events in the parliamentary precinct have dominated the domestic media and consequently there is no need to repeat what is patently obvious. South Africa clearly faces a leadership problem as far as financial governance and policy initiatives are concerned. Doubt has placed, in the media in main, on the leadership integrity of the Hawks, NPA and, to some extent, with the Anti Corruption Unit inasmuch as their relationship with the President is concerned. A weary public waits for the next story of public service patronage. Public service heads appear at times uncomfortable when they are reporting to Parliament and seem to be looking over their shoulder at times to see if what they have done or said is politically correct. Troubling is the fact that regulatory bodies are at odds with the ministries that founded them. Although progress has been made on the national level in developing legal frameworks with provisions and regulations to address theft of public funds, such as the Prevention and Combating of Corrupt Activities Act and the Public Finance Management Act (PMFA), the good guys are still behind in the race to catch the bad guys. A sad conviction rate of 28% on cases brought before the court by the Assets Forfeiture Unit overall was quoted to the Standing Committee. On the same subject, the surprising failure by the President to sign into law the Financial Intelligence Centre Bill to fight money laundering in terms of international prudential agreements has represented a further setback. Hopefully this is only temporary since the country needs to join up the dots to encircle organised corrupt financial activity. Worse, some government SOEs appear to conducting their own affairs without approval by Treasury. Cabinet members are involved. Witness the extraordinary offer made by the Central Energy Fund, reported in the media, to Chevron for its refinery in Cape Town and downstream activities in the form of 850 fuel outlets, presumably backed by the funds emanating from the sale of the Strategic Fuel Fund (SFF) reserves unauthorised by Treasury. Shadow Minister of Energy, Pieter Van Dalen MP, citing Business Day, said the sale has been connected with Thebe Investment Corporation – “the ANC linked investment arm”, he added. Vitol is the company that has allegedly bought the fuel stock and which owns Burgan Cape Terminals next to Chevron, the deal being linked by Van Dalen with Thebe for the building of its new storage tanks. Burger had just been awarded a 20-year lease by Transnet for land needed. Chevron brought to Parliament its case against Burger saying it was improper to build a new tank terminal next to its refinery for Burger to store oil for trading whilst they had no Transnet pipeline to Gauteng as did others from Durban but the chair of the portfolio committee accused Chevron of monopolistic behaviour. Subsequently the complaint was rejected. It was shortly after that Chevron announced its intention to sell its refinery. Whether the Minister of Energy, Tina Joemat-Pettersson knew all of this when she appeared before the Portfolio Committee of Committee on Energy, her attendance covered in this report, is a moot point. If she did know something, she is culpable in that she withheld the information, both from Parliament and possibly Treasury. Alternatively, if she didn’t know that an offer was made to buy Chevron and that SFF had sold the state’s oil fund’s reserves to Swiss giant Vitol, possibly involving Thebe Investments, she should resign immediately as an incompetent. Where the R4.4bn odd involved in the sale by SFF has landed up is not clear and when the oil will leave SFF’s Saldanha terminal and move to Burger in Cape Town is also not clear. Clearly, in our view, this has been a major transaction known about at Cabinet level and the DA has called for an urgent enquiry. This will presumably bring the Asset Forfeitures Unit’s number of cases under investigation up to 79. And so it goes on. Tegeta and Eskom included. One senses a continuing cover up by government departments in reporting to Parliament for fear of upsetting any Minister’s apple cart, whereas Parliament should be a refuge of openness, accountability and public oversight on state activities and act as an arbiter to represent the people of South Africa. In the darkness, we saw a flash of light and a refreshing change when ANC MP, Vincent Smith, in grilling the Hawks as part of the Anti Corruption Unit interview, reminded them fiercely “This Is Parliament. If you cannot speak the truth, then do not speak at all.” Whilst that remark may encapsulate the current problem, it may be also the cause of some Ministers and government officials choosing not to speak at all. Concurrent with the number of judicial enquiries into strange contracts, bad senior appointments, misuse of privileges and a litany of unaccountable expenditure without proper approval, what also has increased is the statement used by many when speaking to Parliament, including ministers, that the full facts cannot be given “because the matter is sub-judice”. The number of matters that are sub-judice would not be so great if powers were given back the Treasury to re-assume its proper place in the parliamentary process. Expenditure, if not approved by Treasury, would never see the light of day. Bad governance and corruption is the fodder that feeds the right wing anger sweeping the world and creates the spectacle that we see almost daily in our National Assembly, the creation of which institution is supposed to be one of the three pillars supporting the Constitution. 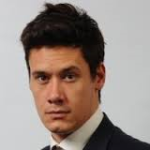 A lot going on at Central Energy Fund…..
Central Energy Fund (CEF), the state utility which controls the Strategic Fuel Fund (SFF) and fosters PetroSA, has again been outside of a plan that has Parliamentary approval or, it appears, Treasury knowledge. CEF falls under the aegis of the Department of Energy (DOE) and is therefore responsible to Minister of Energy, Tina Joemat-Pettersson. Clearly there is much going on of which Parliament knows nothing – in recess as it is. The history of CEF’s problems go way back before the period during which previous Minister of Energy, Ben Martins, held office and even before Ben Martins, as an MP was chairperson of the Parliament Portfolio on Energy. Most of CEF’s troubles appear to involve the fuel storage facilities at Saldanha Bay on the West coast and PetroSA’s operation on the East coast, causing considerable negative comment from the portfolio committee and Ben Martins himself at the time. 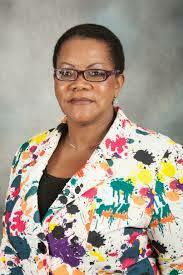 Sadly, Minister Martins was not chosen to remain by President Zuma. Quite clearly a plan has been hatched to meet Cabinet ambitions. It was only after Minister Joemat-Pettersson’s current budget vote speech did the investigative journalism of the newspaper media discover the sale of almost completely the entire SA reserve oil stock of the Strategic Fuel Fund (SFF) held at Saldanha Bay. Not only was the sale concluded without any mention but the quantity of fuel involved appears to have been a major financial decision undisclosed in any cabinet statement. It appeared that CEF had allowed SSF to sell 10 million barrels of crude — close to the entire stockpile — in a closed tender at the point that the oil price had bottomed at somewhere around R34 Brent. It also appears that this was without the agreement of Finance Minister Pravin Gordhan and Treasury whose concurrence is needed under the Central Energy Fund Act. How this will play with Treasury and the Auditor General is not clear, nor whether when and how CEF intends to replace this. The Democratic Alliance will no doubt be asking for answers in parliamentary question papers. SFF had a good revenue base, she said. “The SFF will continue to ensure that it is able to respond to any shock in the market, whilst optimally making use of the opportunities presented in an evolving oil sector”, she concluded regarding West coast activities.No figures were given nor a clear indication mentioned that a sale had been concluded. Therefore, the sale of nearly the entire reserve held by SFF, whether it is kept in the same tanks at Saldanha or not, at an oil price when at it’s very lowest, “suitable” or not, and being obliged by the Act to eventually replace it some later point should get an explanation. However, it seems that there was an incentive to sell. Also, to have to buy back at an oil price which is currently already well over double would appear to be completely against the tenets of the Public Finance Management Act; what the Auditor General is bound to call “fruitless and wasteful expenditure”; and contradictory terms of the Minister’s statement to Parliament that the SFF “has the ability to be self-sustainable”. Unless, of course it is bolstered by external funds. Parliament is of course closed for the election recess but no doubt there will be a parliamentary uproar on the subject – if not an investigation, which will come on top of the further current investigation of CEF’s activities as far as PetroSA is concerned.Once again the question will arise on how it was possible for PetroSA to continue with Project Ikhwezi when drilling for gas for two years in an area already defined by experts as impractical in lieu of fault lines in the projected gas field. R11.7bn was the total “impairment” of PetroSA, the result of underperformance of Project Ikhwezi in its efforts to supply gas onshore to Mossgas. The total PetroSA loss for 2014/5 was in reality R14.6bn after tax. Currently a team comprising of industry experts is now defining a new strategy to save the PetroSA in its offshore struggle on the East coast, according to DOE reports to Parliament. The experts were not named but the exercise is entitled Project Apollo and reports were also given to Parliament that the team has progressed well so far, said controlling body Central Energy Fund during 2015. PetroSA was originally flagged by Cabinet some twelve years ago as “South Africa’s new state oil company”. Last year, CEF described at the time PetroSA’s performance in their annual report to Parliament as “disappointing”, resulting in harsh criticism last year from the Portfolio Committee on Energy. The subject was not raised this year by the Minister in her Budget vote speech. What, however, was raised in opposition questioning in the National Assembly by Pieter van Dalen, DA Shadow Deputy Minister of Energy, was Central Enegy Funds venture into the proposed purchase of Engen’s downstream activities from Malaysian company Petronas, known as “Project Irene”. This was understood to be the Cabinets secret plan to own the promised state oil company. The purchase from Petronas, who own 80% of Engen, was an attempt through Central Energy Fund to gain a foothold in the fuel retail and forecourt space by acquiring a stake in Engen, South Africa’s largest fuel retailer. The remaining stake is held by the Pembani Group. “However,” van Dalen said to MPs, “the project was strongly championed by Minister Joemat-Pettersson and President Jacob Zuma. In the end, the deal fell through due to lack of financing.’These sort of things cannot go on”, he said. Gordon Mackay did not know about the Chevron approach, or at least he did not indicate that he did. Ageing refineries and failure to finalise financial planning with National Treasury on levies for strategic fuel stocks held in much-needed fuel storage facilities, are part of the problem faced by planners in the fuel industry and government, according to recent parliamentary meetings. A confused picture emerged from a recent portfolio committee on energy during a meeting between committee and the Department of Energy (DOE) on behalf of the Strategic Fuel Fund (SFF). Deputy Minister of Energy, Thembisile Majola, was present for the entire meeting as a participant in the debate, following the presentation on the strategic fuel stocks position by both DOE’s Deputy Director-General, Tseliso Maqubela, and Muzi Mkhize, Chief Director, Hydrocarbons Policy, at DOE. In fact, not only was the outcome of the meeting unclear but occurred as an unscheduled event until the day in question. It was also advised that that nobody in DOE knew the whereabouts of the SFF’s CEO, whose office had been found locked, whereabouts of the CEO himself unknown. He was suspected of being on the lookout for a new post, an apologetic member of SFF said. Neither was the chairperson of SFF present or the main elected board, there being only one of six SFF board members at the meeting. The portfolio chairperson, Fikile Majola, confirmed that there had been major misunderstandings with parliamentary invitations but that did not explain the apparent disinterest by the SFF board itself in reporting to Parliament. 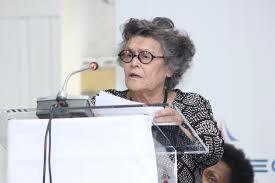 The presentations were therefore purely by the Ministry and senior officials of the DOE. Parliamentarians were told by DOE that strategic fuel stocks were defined as both crude oil and refined products and held by government and/or oil companies to cater for catastrophes or severe fuel supply disruptions. Products to be kept as strategic stock included diesel, petrol, jet fuel and liquid petroleum gas (LPG). As far back as 2006 it had been estimated that a “no stock” fuel crisis situation could result in a loss to GDP in South Africa of R1bn a day. This fact caused the Deputy Minister to remark that such a situation in 2015 “would make the current Eskom crisis seem like a walk in the park”. Muzi Mkhize of DOE said strategic stocks would be released only upon declaration of a state of emergency by the Minister of Energy and were like an insurance policy. The SFF was responsible for the procurement, maintenance and management of strategic stocks held by government and oil companies likewise were responsible for the strategic stocks they held according to arrangements with the state. With regard to the financing of strategic stocks, a draft policy document was still being debated with National Treasury on the basis of a suggested levy of six cents per litre on petrol, diesel and jet fuel to finance procurement of stocks and the construction of storage facilities for refined products with operational expenses. Tseliso Maqubela of DoE said the management by DOE of liquid fuels in the country was split into two divisions, policy and planning under one branch of DoE and implementation, after approval by Cabinet, as another division. In that sense all members were present at the portfolio committee briefing, Maqubela assured parliamentarians, including Dr. Chris Cooper of Central Energy Fund under whom SFF used to fall and who was particularly acquainted with all issues. Present also was the CFO of SFF and the Chief Operations Officer. DDG Maqubela explained that it was originally required that South Africa keep 90 days of net imports but on an analysis of the current situation, it was proposed that the country keep a total of 60 days of strategic stocks and oil companies would be obligated to keep 14 days of refined products defined as strategic. South Africa was a net importer of crude oil and refined petroleum products, he said, and currently over 50% of the country’s imported crude oil was from Middle Eastern countries whilst before it nearly all came from the Middle East. However, the country also now received 12% of its crude oil from Angola and 31% from Nigeria, which had changed the picture particularly as far as lead times and transportation were concerned. Maqubela said there was no crisis in strategic stocks, “although there were emerging risks”. He reassured members, saying that on a day-to-day basis, he personally interacted with all the companies in the industry and there was certainly no crisis but the country did not have sufficient storage capacity for LPG. This had to be resolved quickly and this was an immediate problem, he said. “If the Chevron refinery went down for example, as it recently did, there would be more serious problems in supplying the Western Cape with LPG. Therefore there needed to be an alternative for Chevron, which was why the DoE supported the granting of any foreign group such as Burgan Cape with a terminal licences for the construction of an import terminal and who had satisfactory BEE partnerships. The country could not rely on one facility for any products in any one area, he said. 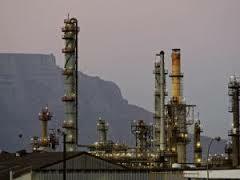 The other issue, Maqubela said, was that the country was experiencing a lot of unplanned refinery shutdowns, primarily because of their age and the country needed a new refinery. The National Development Plan (NDP) stated that by 2017 a decision needed to be taken on refining, he remarked. When one of the refineries at the coast had a problem, the country ran into “challenges” and one of the proposals which would be made at policy division level was that the strategic stocks policy needed to ensure that oil companies kept enough buffer stock at their own cost. 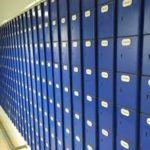 The DoE believed, he said, given recent experiences that the country needed storage facilities to be built in key cities across the country, particularly in places such as Kimberley and East London. Generated cash flows were used to maintain the infrastructure of keeping stocks and to fund all SFF’s operational expenditure. In 2014, the entity had generated R197 million from leasing its tanks for crude oil. Excess funds were transferred into cash reserves. The SFF received no allocation from government. In real terms, the R2.6bn revenue generated by the SFF in 1995 was more than ten times higher than the R198m revenue generated in 2015. SFF was a non-profit Section 21 company. SFF’s operating costs between 2013 and 2015 had therefore been below budget. In the 2014/15 financial year, SFF’s revenue had been around R198m, as stated — a significant increase from the R93m in 2013/14. Mfano Nkutha, Chief Operations Officer, SFF, said SFF had two storage facilities at Saldanha and Milnerton, both in the Western Cape. Saldanha currently had six underground tanks holding 7.5m barrels each. Milnerton had 39 smaller tanks, holding 200 000 barrels above ground. There were no strategic stocks at the facilities. The SFF had an asset base where it accumulated interest on cash reserves and leased out storage space to crude oil trading companies. Some of the new locations under consideration were Island View (Durban), Richards Bay port, East London, Cape Town port and Jameson-Park precinct. However, the basic matters still remained which were the finalisation of stock level requirements; some sort of agreement on funding and levies with National Treasury and feasibility studies for any proposed storage sites. In answer to the many questions from MPs, Maquebela said that in the broader context of energy supplies, indeed the strategic fuel stocks policy framework had yet to be finalised but “all the time things were constantly changing in the global space and within the Southern African Development Community (SADC) region. These changes needed to be included in the policy framework”, he said. “Botswana had been building huge storage tanks since 2010 as well and other private sector investments were in Coega and in Richards Bay. These had changed the scenario for the strategic stock framework.” The multi-product pipeline had changed much, DDG Maqubela said, and historically disadvantaged South Africans (HDSAs) now operated in the fuel storage and fuel industry space but a policy was needed to look into a more integrated approach. No one has shut shop. Answering more questions, he said, “There needed to be a seamless release of stocks when the situation arose”. He commented on media reports and said that no refinery had been closed, and those which were currently not operating were on maintenance shutdowns. Chevron had not been closed — they were on a planned maintenance shutdown, he said, presumably referring to the verbal spat revealed in Parliament between Chevron, Burgan and DOE over the new Burgan terminal. Every year, DDG Maquebela said, the DoE received a schedule of planned shutdowns from the oil companies, because shutdowns were required by law. The DoE’s role was to ensure that there were no overlapping shutdowns. The problem arose when the refineries did not stick to their schedules because of unforeseen circumstances, primarily those relating to the ageing infrastructure. Another problem which the country needed to explore was that the availability and reliability of rotating maintenance crews. He said Chevron was currently operating at 30% capacity and Shell and BP had been experiencing some difficulties. Engen had recently undergone a planned maintenance shutdown, but it had come back on line satisfactorily, while Sasol Secunda was still dealing with a planned maintenance shutdown. PetroSA was operating at 50% capacity. She maintained much so many of the “challenges in DOE policy were concentrated under one branch it was therefore not humanly possible to manage all the work.” This was something which was impeding the progress of the DoE regarding policy, she said. There was also a misalignment between those who developed policy and those who implemented policy on a day-to-day basis. The DoE needed time to make a re-assessment of itself.